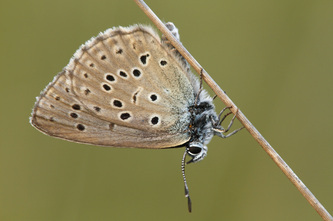 The underside of the Alcon Blue is greyish brown with marginal markings and black spots on each wing. 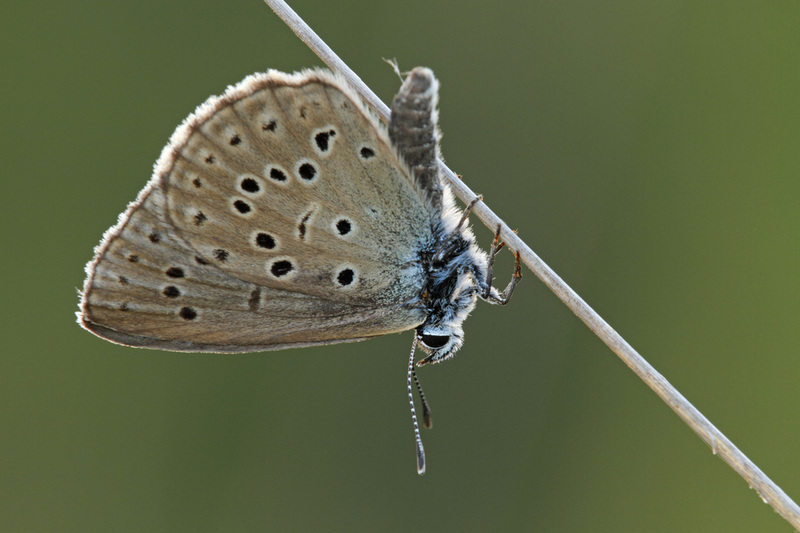 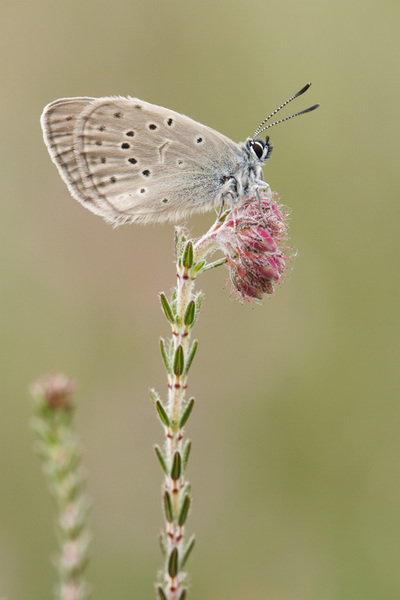 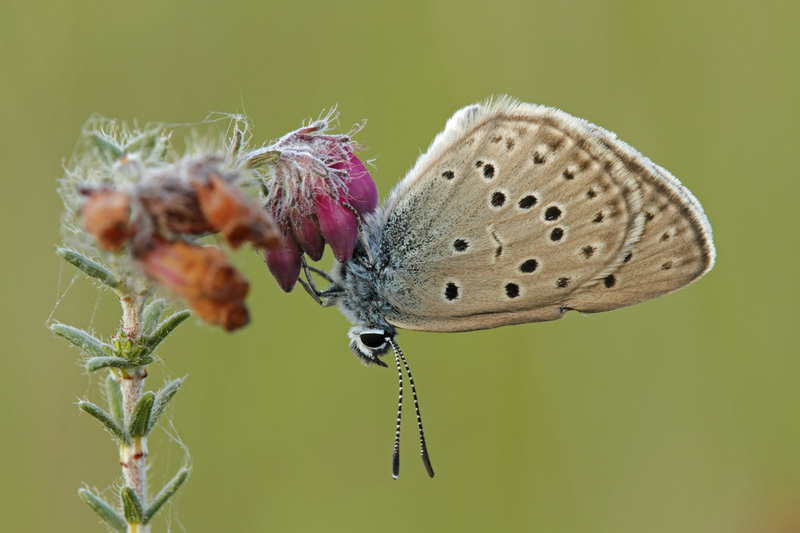 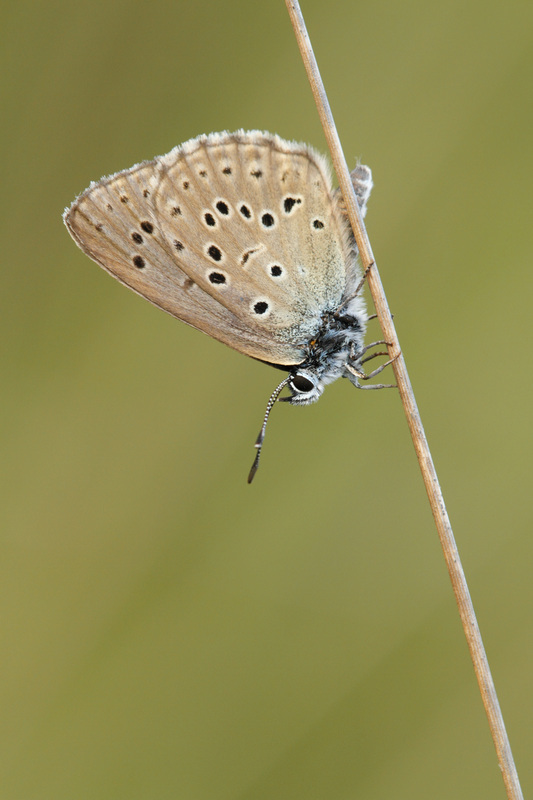 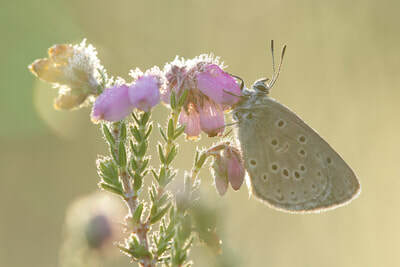 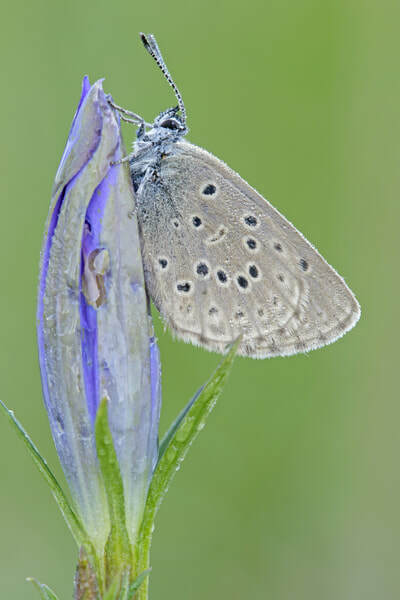 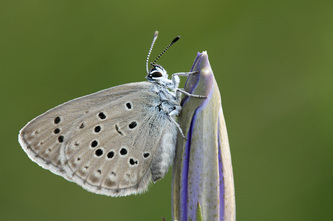 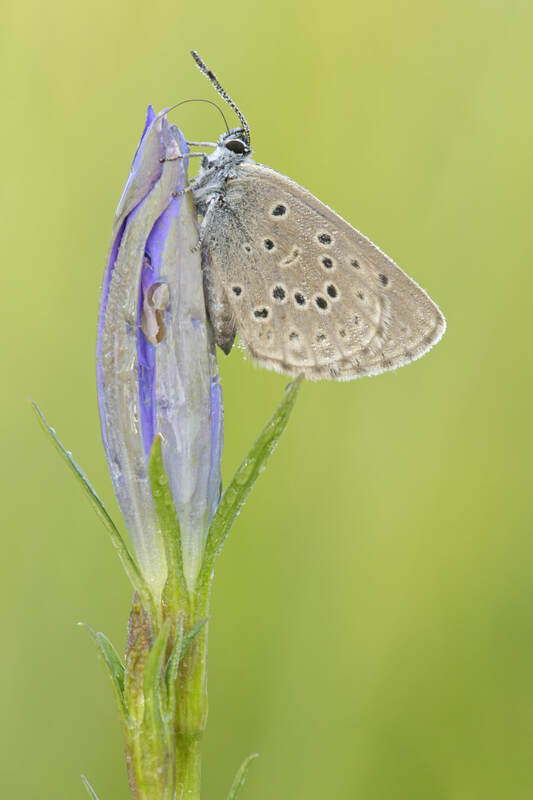 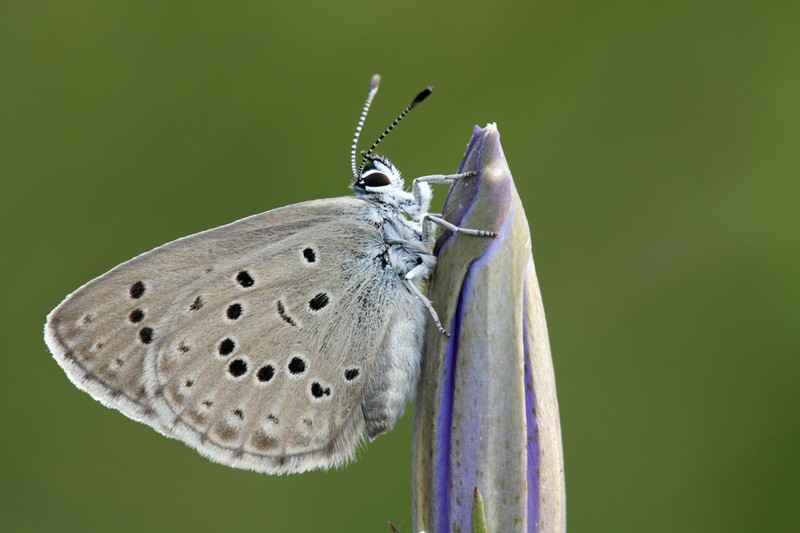 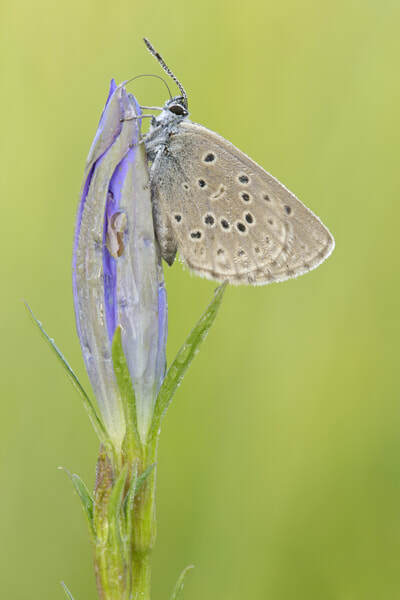 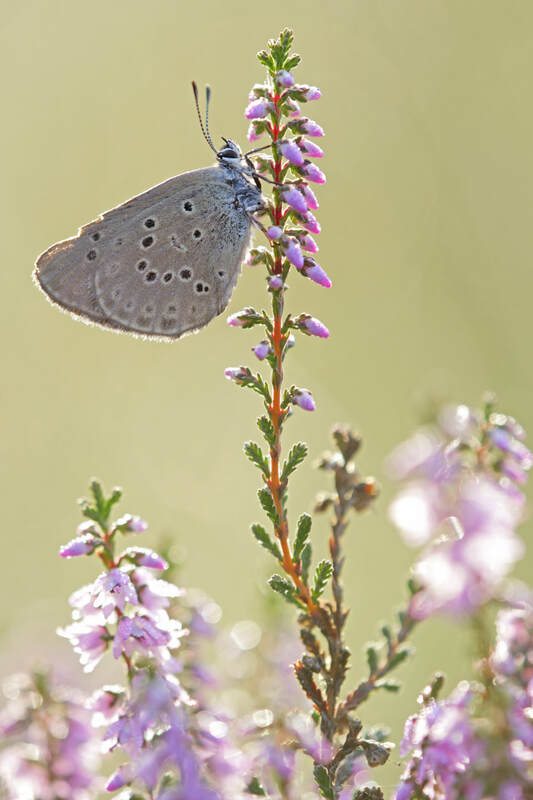 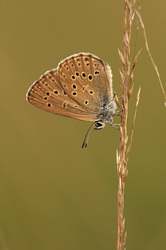 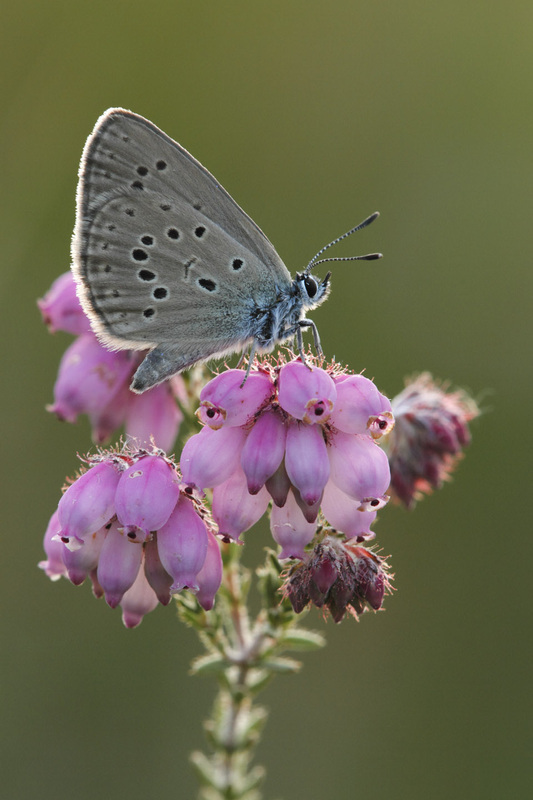 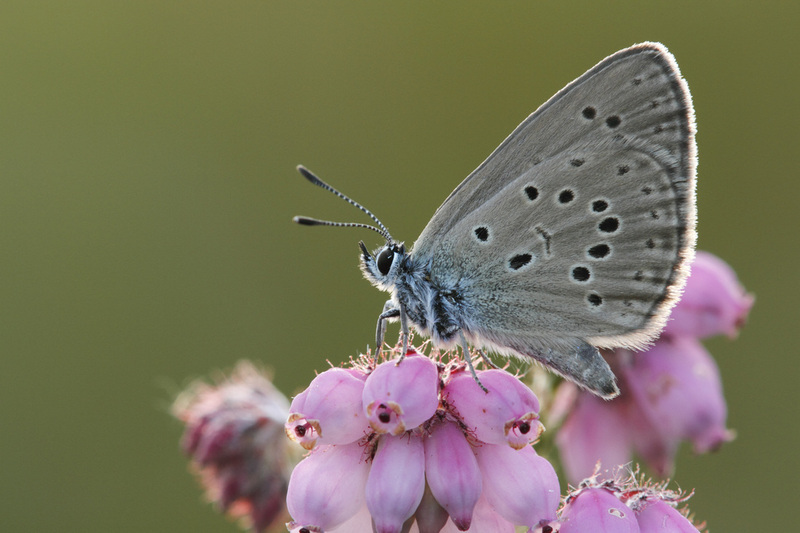 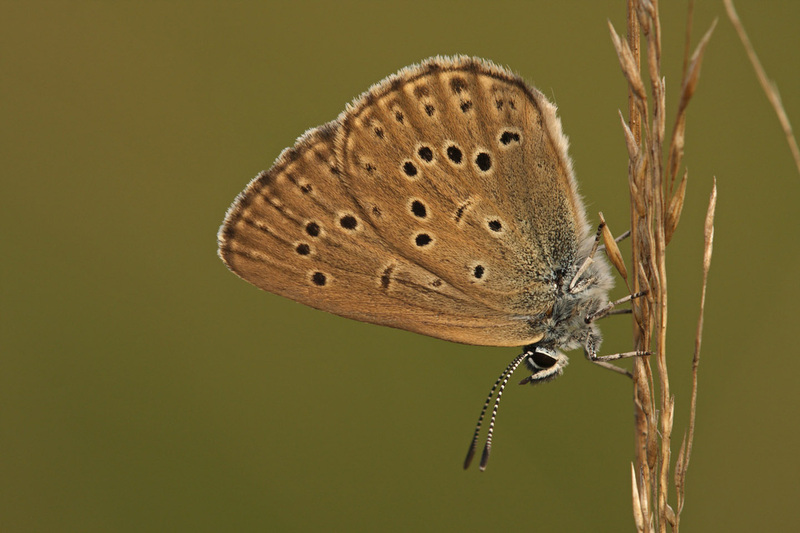 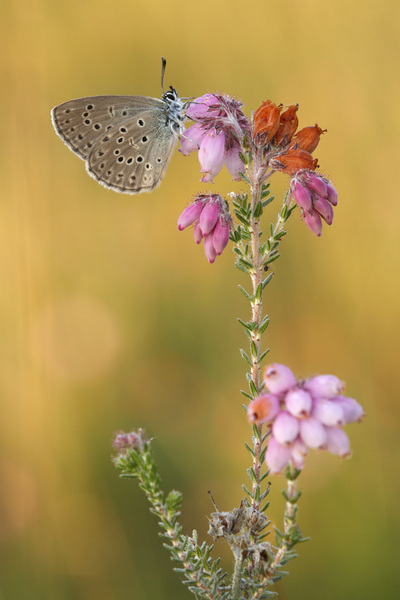 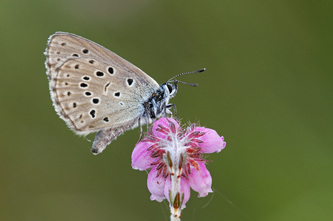 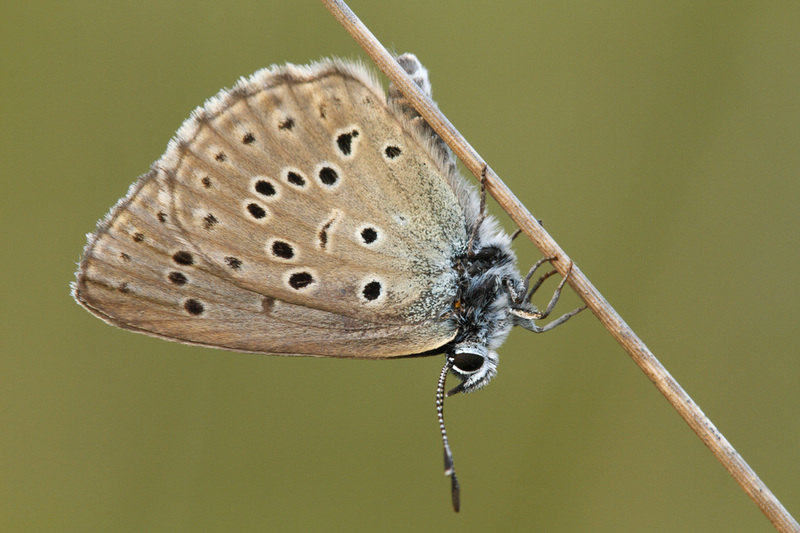 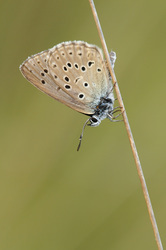 The male upperside is pale violet-blue with narrow black borders. 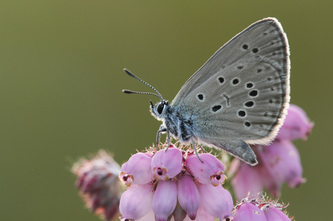 The females are basically violet-blue with broad black borders; sometimes so heavily dusted with sooty scales that the blue is hardly visible. 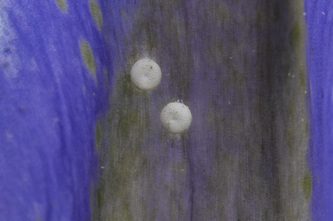 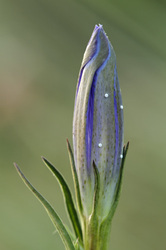 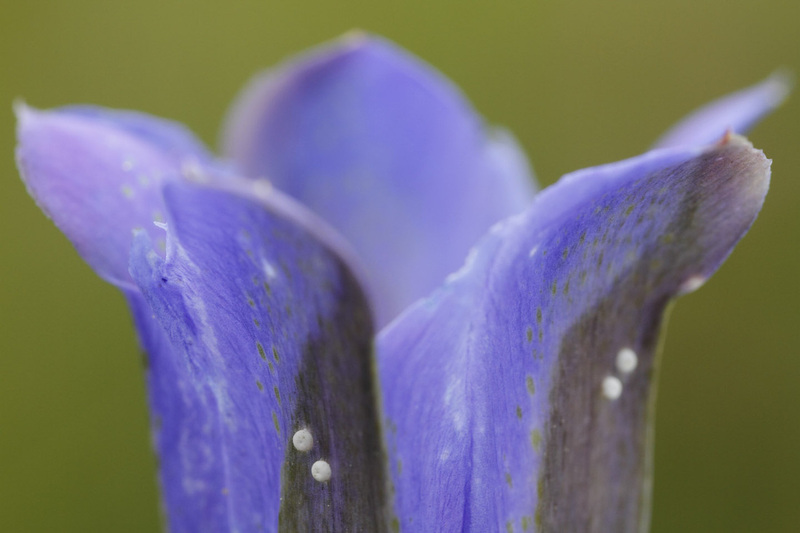 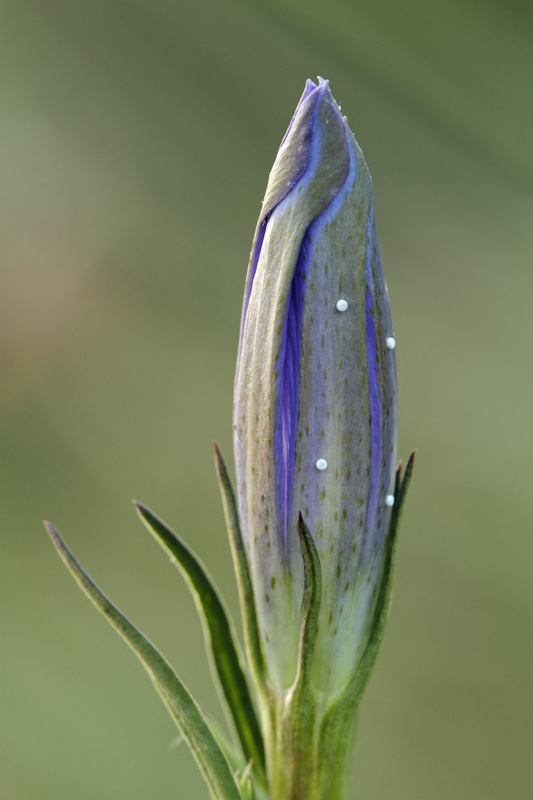 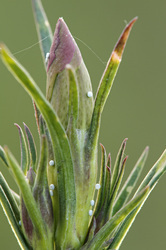 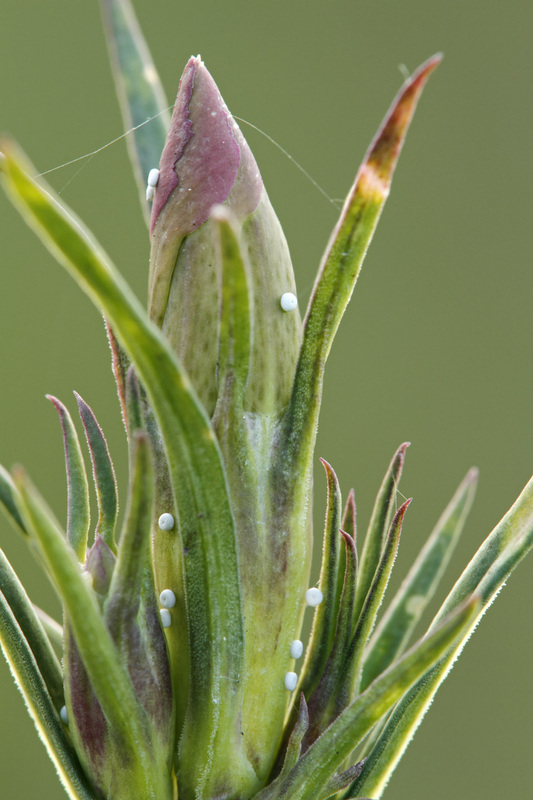 The larval foodplants are Marsh Gentian (gentiana pneumonanthe) and Chiltern Gentian. 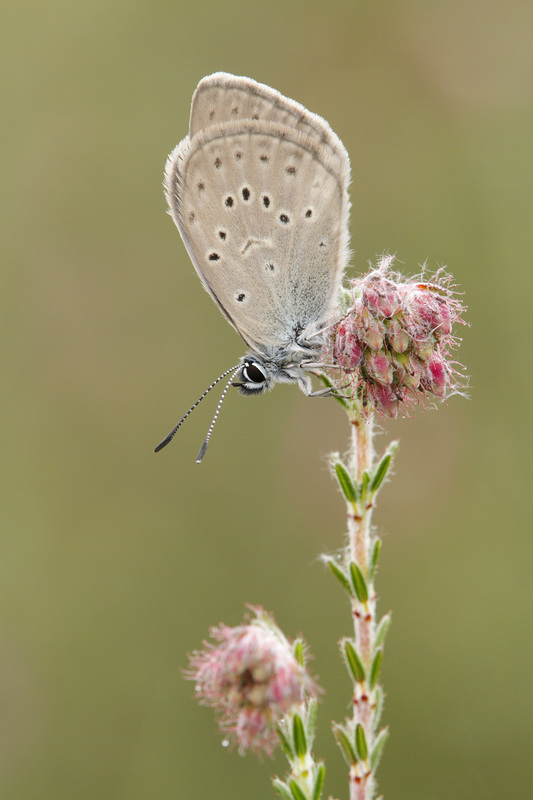 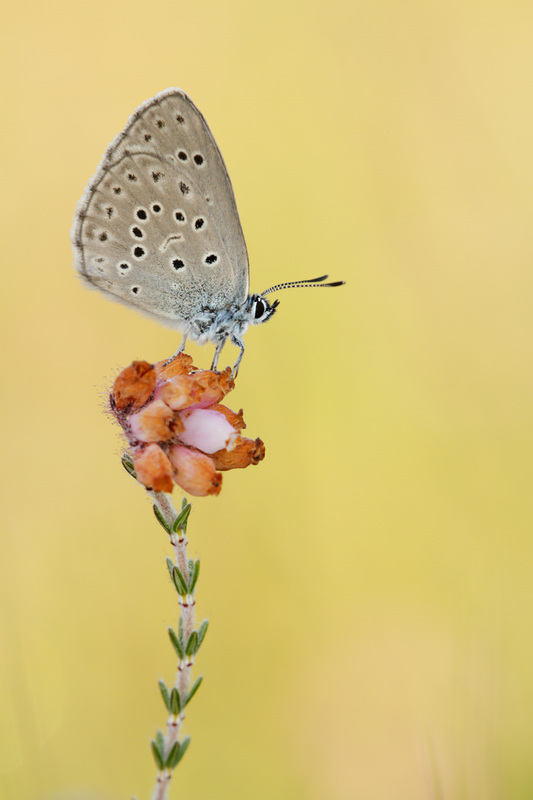 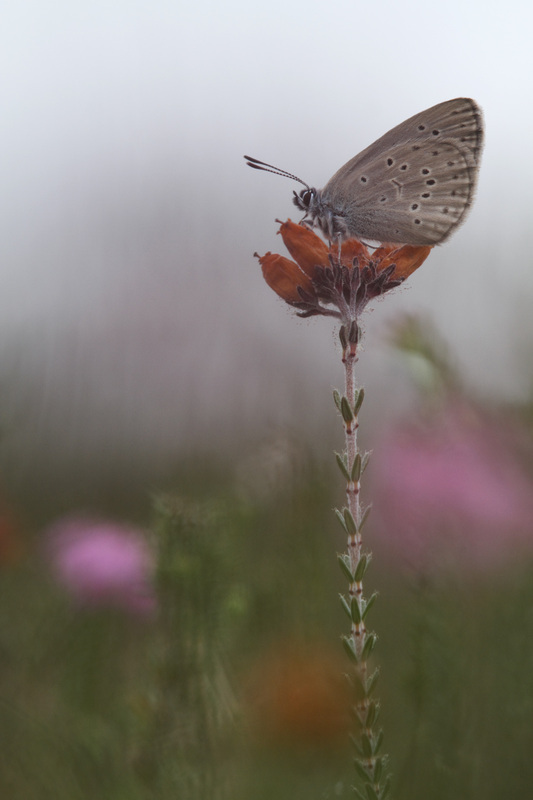 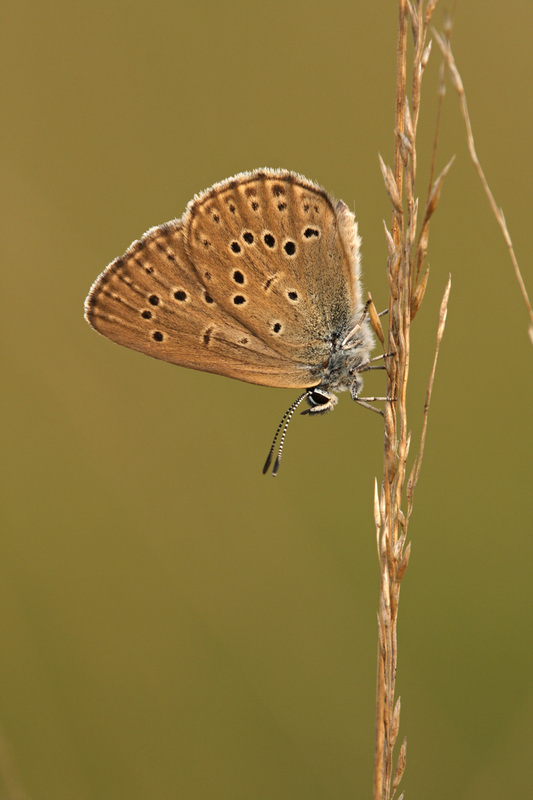 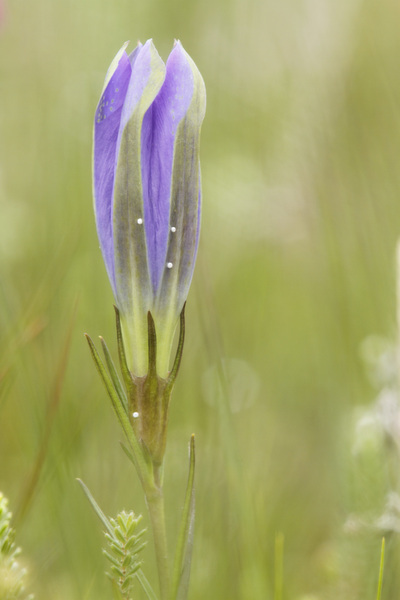 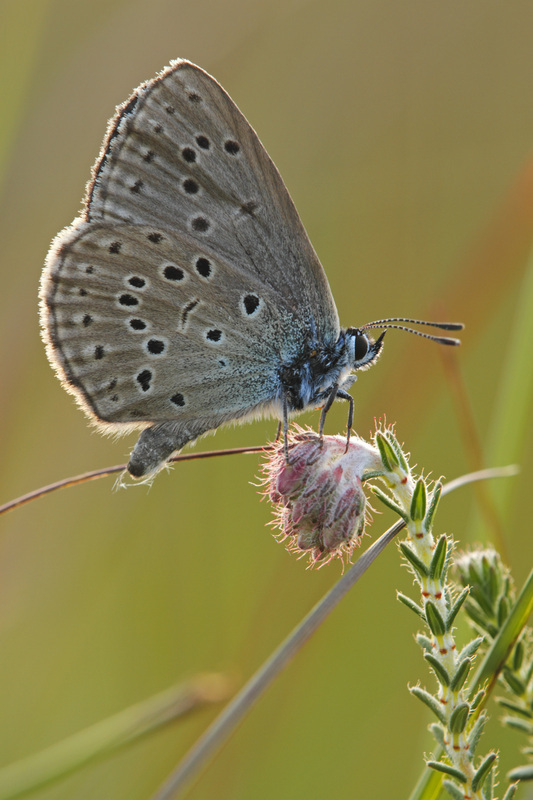 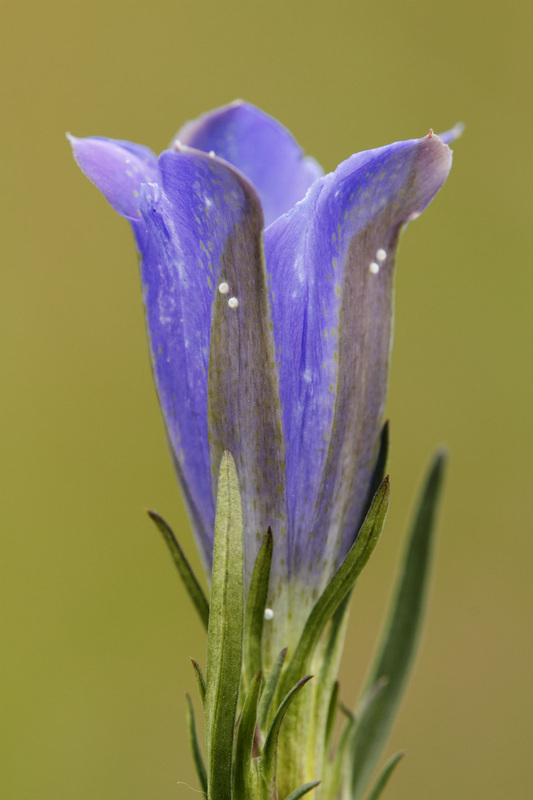 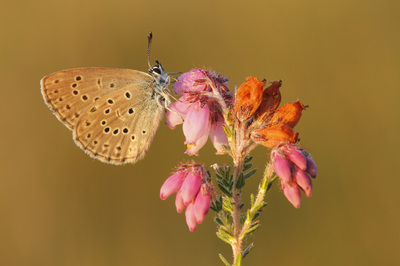 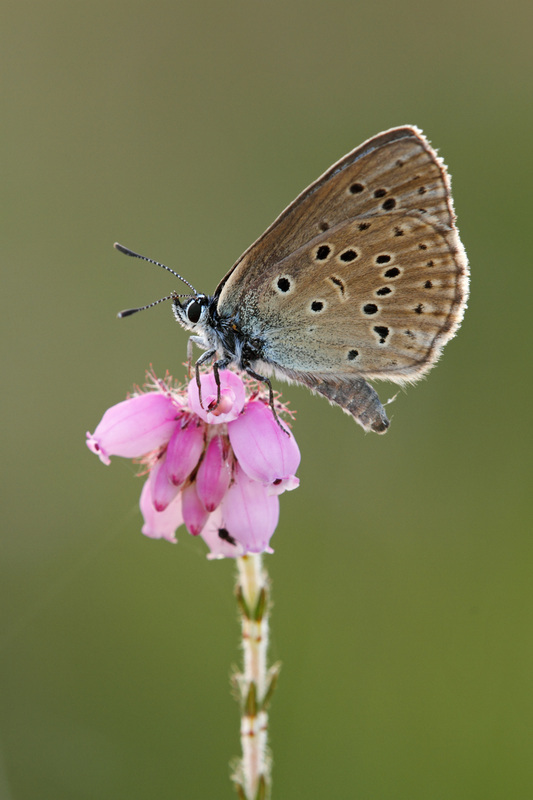 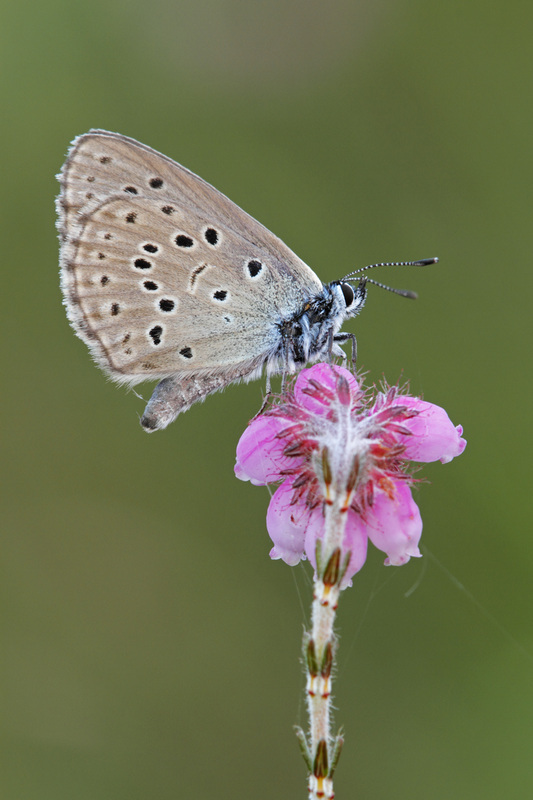 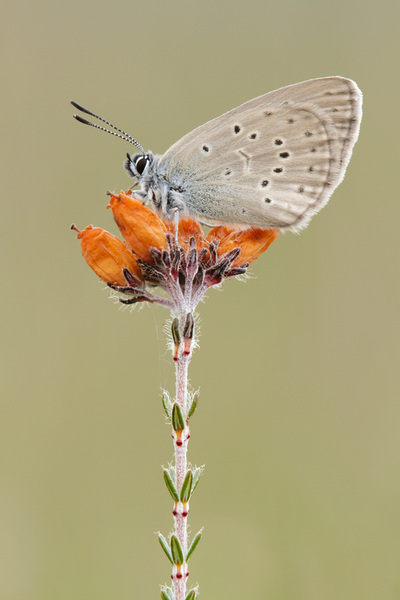 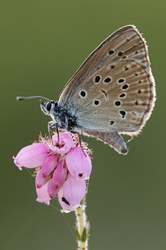 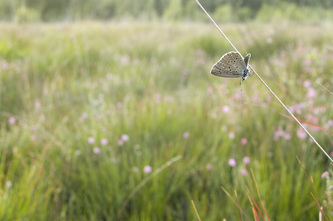 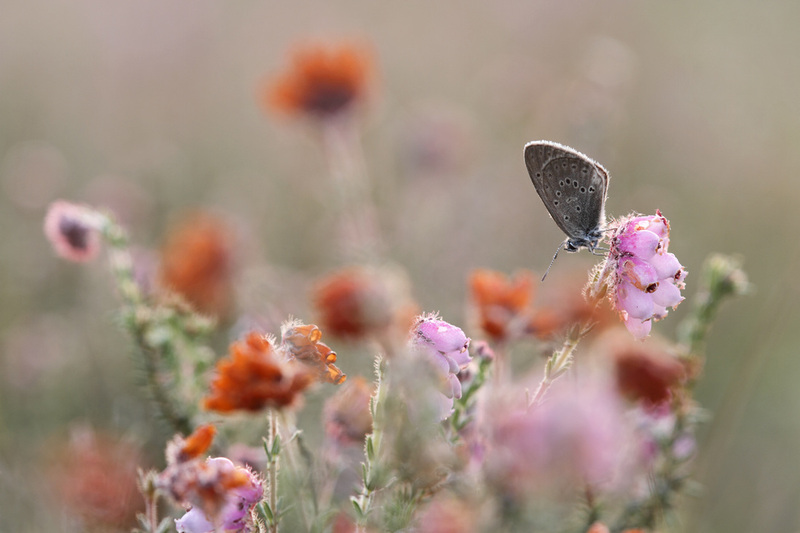 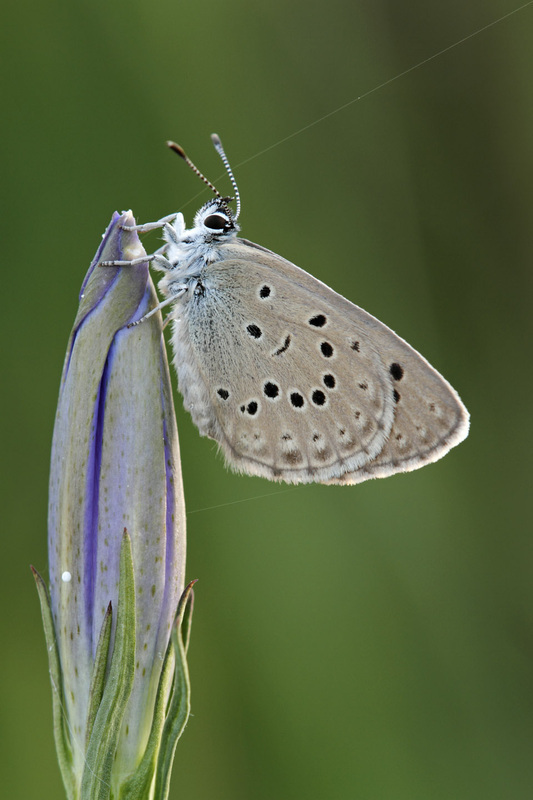 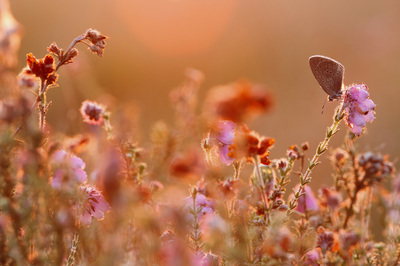 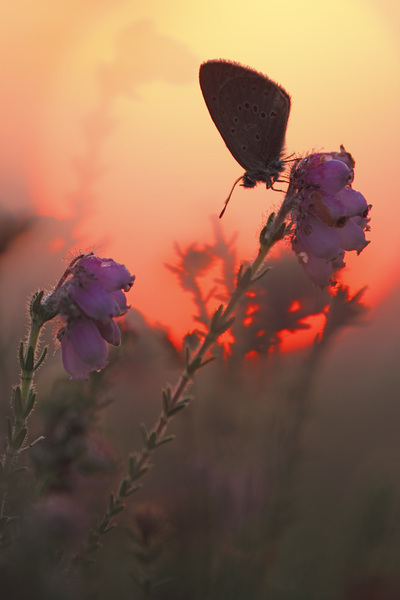 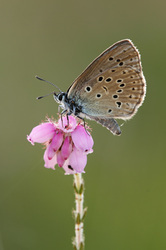 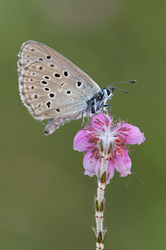 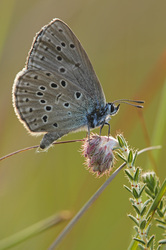 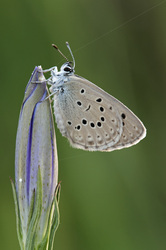 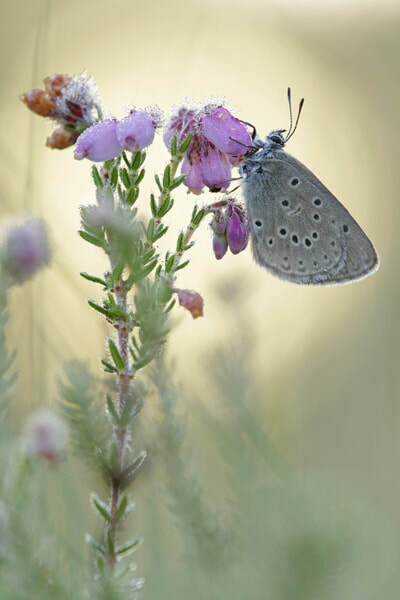 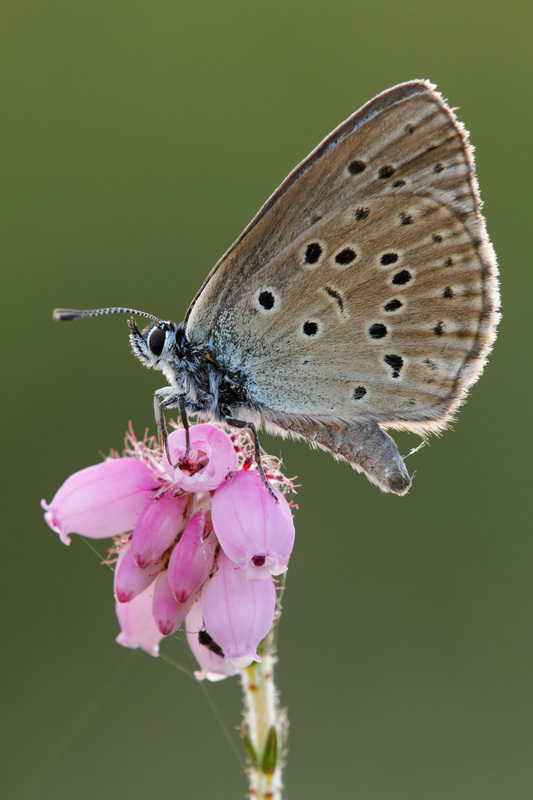 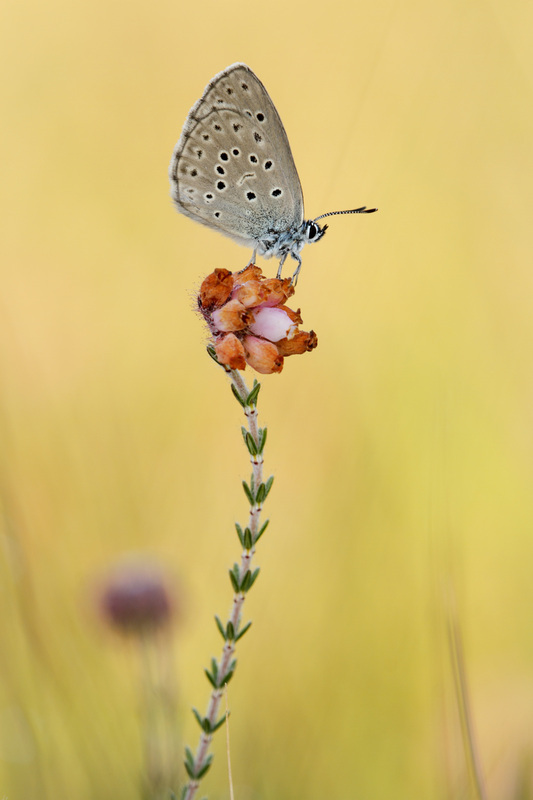 The Alcon Blue has strong habitat requirements: Dry grassland with Gentians and red ants. The caterpillars spend the winter in the ants nest and they will feed them as their own brood. 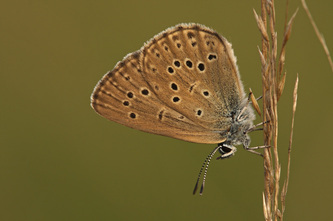 The Alcon Blue is an endangered species in Europe.